Thousands of health care workers employed by the University of California participated in a strike Tuesday and Wednesday over pension reforms at UC medical centers and student health centers across the state. AFSCME 3299, a union representing more than 12,500 UC patient-care employees, began the two-day strike Tuesday morning amid ongoing contract negotiations with the university that began in June 2012. University Professional and Technical Employees 9119, a union representing 3,300 technical workers, also went on strike in solidarity with AFSCME 3299. Workers have expressed discontent with understaffing, proposals by the university to reform pension benefits and the university’s use of private contractors the unions say are inadequate for providing appropriate patient care. Despite a 97 percent vote in favor of striking by union members in May, an average of more than 75 percent of union employees worked their scheduled shifts Tuesday, according to UC spokesperson Dianne Klein. 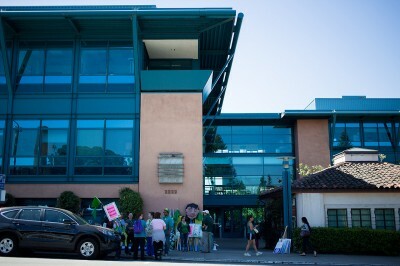 The number of workers striking also varied at the different UC medical centers, according to Juliana Bunim, senior public information representative for UCSF Public Affairs and University Relations. At UC Davis, about 380 of union employees out of a total 3,400 took part in the strike Tuesday, said David Ong, a representative from the public affairs office at UC Davis Health System. 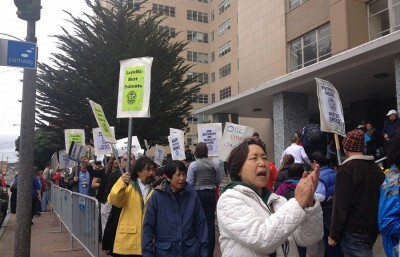 On Tuesday at noon, about 300 workers were striking outside UCSF Medical Center. Earlier that morning, members of AFSCME and UPTE also held a demonstration outside the Tang Center. About 50 people attended to support the 30 Tang patient-care workers. The university, however, opposed the strike, saying it will be costly and could negatively impact patient health. In a press conference Monday, John Stobo, the UC system’s senior vice president for health sciences and services, said that the strike will cost about $20 million and result in the cancellation of several medical procedures. At UCSF alone, five surgeries for children with complex heart conditions, 12 pediatric chemotherapy infusions and two appointments for women who need operations by fetal treatment center surgeons were postponed because of the strike, according to a UC press release. Although a Sacramento Superior Court judge issued an injunction Monday prohibiting some workers from striking, it only applied to about 450 workers who have critical duties, according to Klein. 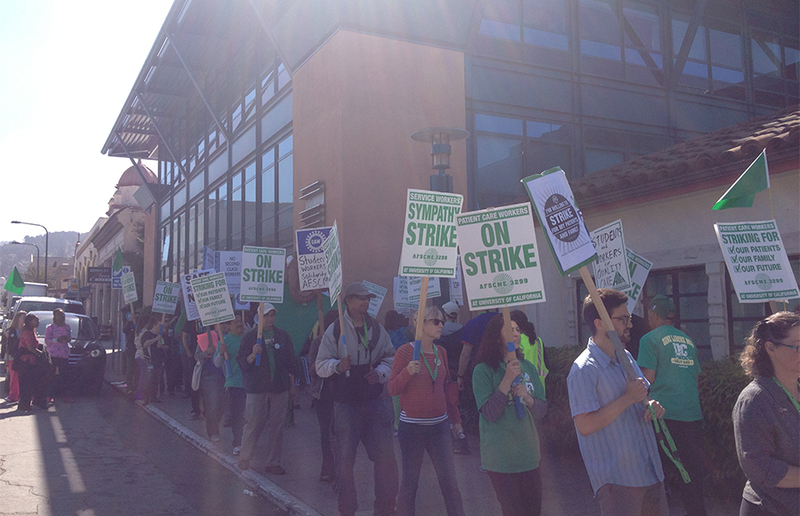 Contract negotiations between AFSCME 3299 and the university have been ongoing since June 2012. In September 2012, the union contract expired, and both the union and university have been at an impasse in negotiations since December 2012, according to Klein. Tanya Smith, local 1 president of UPTE 9119, was laid off after working for the university for 22 years. She says the strike was a necessary action because the university is wrongfully prioritizing executives over frontline workers. The university says it is necessary to enact substantive pension reforms to help address a $24 billion unfunded pension plan liability and enable the university to continue offering employees financially sustainable pension benefits. In March, AFSCME 3299 published a whistleblower report claiming that inadequate and uneven staffing levels had led to patient neglect and harm. The university believes the workers are being offered a generous contract. In a document published last week, it states that all of the workers are being offered a 2 percent minimum raise. Click here to see strike footage and for interviews with patient-care strikers.